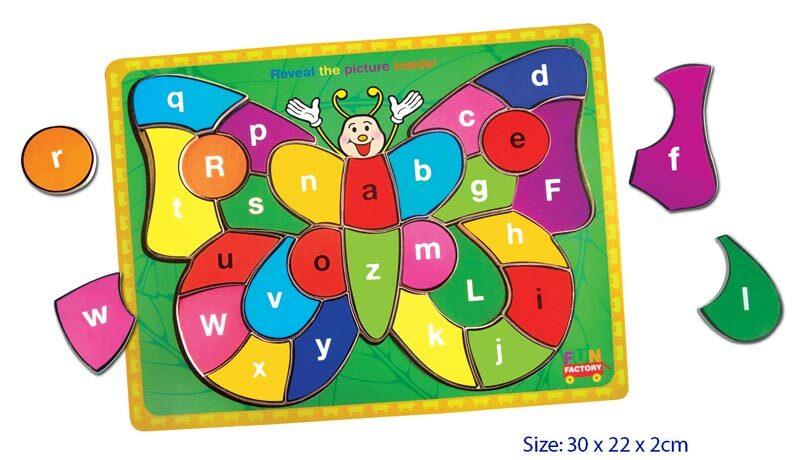 Plenty of fun available with this Educational Wooden Butterfly Puzzle. 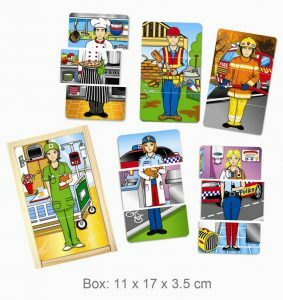 This puzzle will help to develop manual dexterity, hand-eye co-ordination, letter recognition as well as visual perception and fine motor skills. Sturdy plywood constuction finished in bright colours. Chunky pieces perfect for little hands. Non toxic and lead free paint.